It is being widely reported that Arsenal and England defender Calum Chambers has left the Emirates and has agreed on a season-long loan deal at Fulham. Evening Standard claims a deal has already been agreed between the two clubs and the player is expected to undergo his medical today before the official announcement. It is believed the deal will be to give the player a full season of experience while new manager Emery tries out his new tactics. After signing a 4-year deal last month, it seems very unlikely that Chambers will be departing the side at the end of the loan deal, many fans and pundits believe the 23-year-old may be a part of Emery’s plans going forward and may turn out to be key player after the loan deal expires. 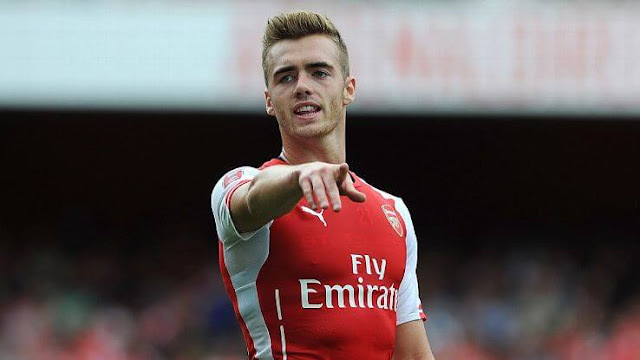 Under Arsene Wenger last season, Chambers made only 12 appearances in the Premier League, leaving some to doubt his future with the Gunners. Signing for around £16m from Southampton in 2014, the defender has had a mixed time at Arsenal, sometimes being seen as a young talent like when he was nominated for the 2014 Golden boy awards, awarded to players under 21 with great potential but has arguably fallen short of expectations in recent years. After the signings of Stephen Lichtsteiner and Sokratis earlier in the transfer window, it looked like the Gooners would be selling some defensive players in order to make space, it appears Chambers may be the first playing making room for new signings. Along with Koscielny, it may not surprise fans to hear that Shkodran Mustafi may be leaving North London imminently after Galatasaray have shown real interest in a deal worth over £20m .